Ian Hampton, Chief People & Communications Officer for Stena Line said: “We support Mercy Ships because we care about people and the world around us. The engagement from Sarah and her colleagues is an example of our colleagues living our company values. 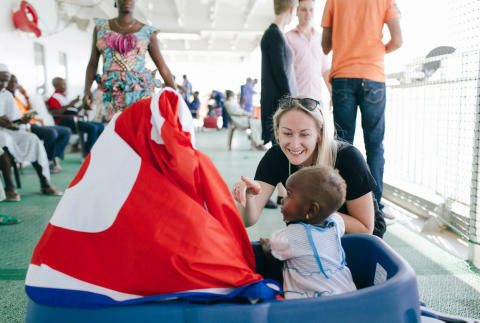 We are delighted that Sarah was given this opportunity to visit Africa Mercy and see how the money raised is being used to make a difference on board the hospital ship." NOTE TO EDITOR: For further information please contact Ciara Kinkead or Michael Rafferty of Duffy Rafferty Communications on Belfast (028) 9073 0880.